VIDEO: Perez smashes into Sirotkin! 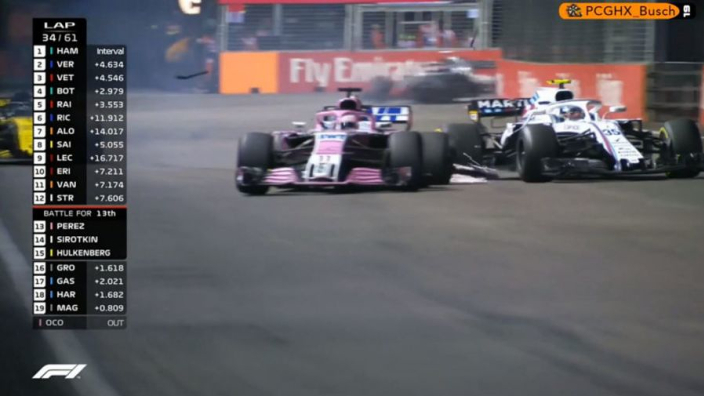 Sergio Perez and Sergey Sirotkin delivered the best battle of the Singapore Grand Prix, but it ended in smashed carbon fibre after the Force India man bizarrely swerved into the sidepod of the Russian. Perez had complained about Sirotkin's defensive tactics, but then made a hash of it when he finally got past his rival.